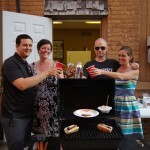 Howell Business Celebrated 1st Anniversary! 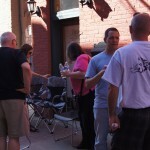 Who was that BBQ-ing in the alley? 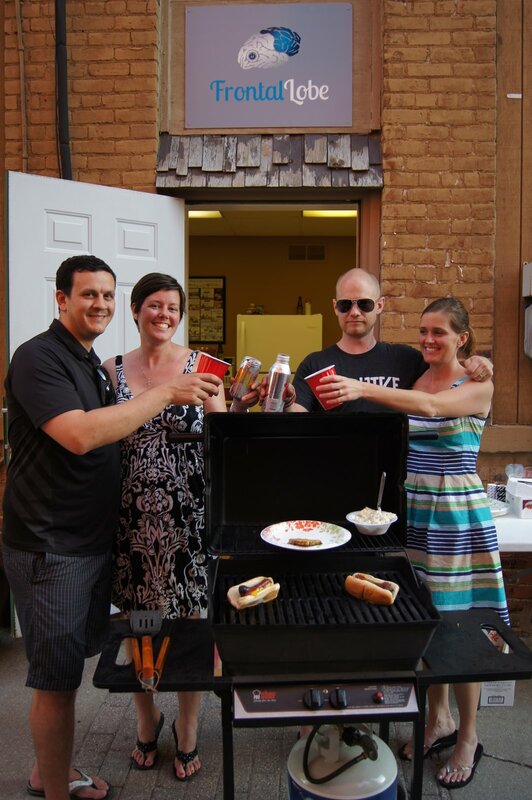 Frontal Lobe Coworking (located next to Dairy Queen) celebrated its first year in business just a few weeks ago by hosting a BBQ for its members, and those in the community who helped make it happen. 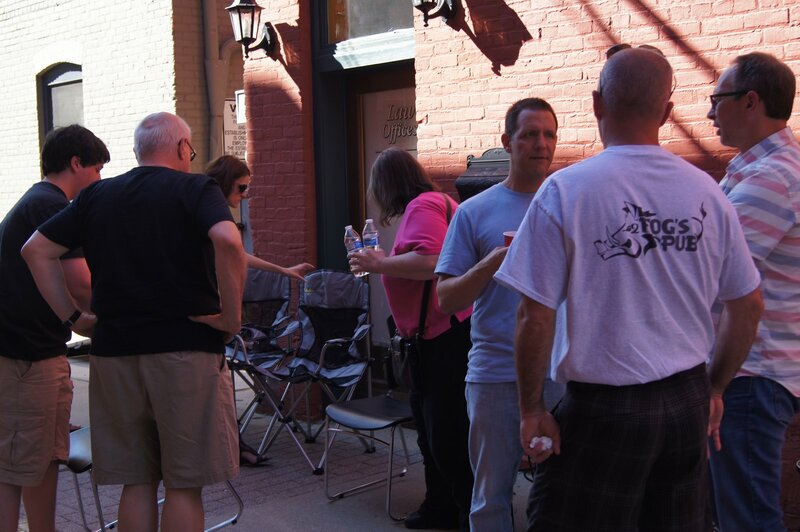 As meat sizzled on the grill, side dishes were set out, cold drinks were twisted open, and children played, stimulating conversations ignited as founding members, new members, and community leaders shared a perfect spring evening in the alley. Frontal Lobe is Livingston County’s first coworking space. Think you know what coworking is, or what coworking spaces are about? When I first discovered Frontal Lobe last year, I Googled it –I thought I had a good grasp; but then I began hanging out in the space and found out it is so much better! Pros, as you will find in your research, are all there: no “coffee shop guilt” – they supply coffee, tea, and snacks for free! ; office space without the office overhead – they provide the office equipment & supplies for free! ; a legitimate meeting space, which lends credibility to business meetings – meeting room included! ; flexible month-to-month memberships – to fit your style & your budget! ; and community. It is this last one, community, that really is hard to describe. In your internet search on coworking (and yes, there is no hyphen in coworking!) community and networking are mentioned frequently; but if you are like me and hate “networking events”, all these descriptions of incubators and “communities” in coworking spaces in large cities had me uncomfortable. Frontal Lobe is far from that! The atmosphere is casual, productive and creative, and the people are an interesting mix of entrepreneurs and remote workers in fields like accounting, web marketing, insurance, finance, writing, and law (to name a few,) along with one serving veterans and one helping with personal & professional growth. Many are involved with community groups as well. The “community” part provides a sense of being a part of something but still working independently, and at Frontal Lobe you can experience that built-in support system along with opportunities for those spontaneous encounters – networking without trying! One Response to "Howell Business Celebrated 1st Anniversary!"